If you thought summer was over at Rockaway Beach, think again! Tiki Disco is back to give everyone a Sunday to remember. Have a fun day at the beach with awesome people, drinks, food and of course the wonderful DJs that make it all happen. Tiki Disco why are you so far? 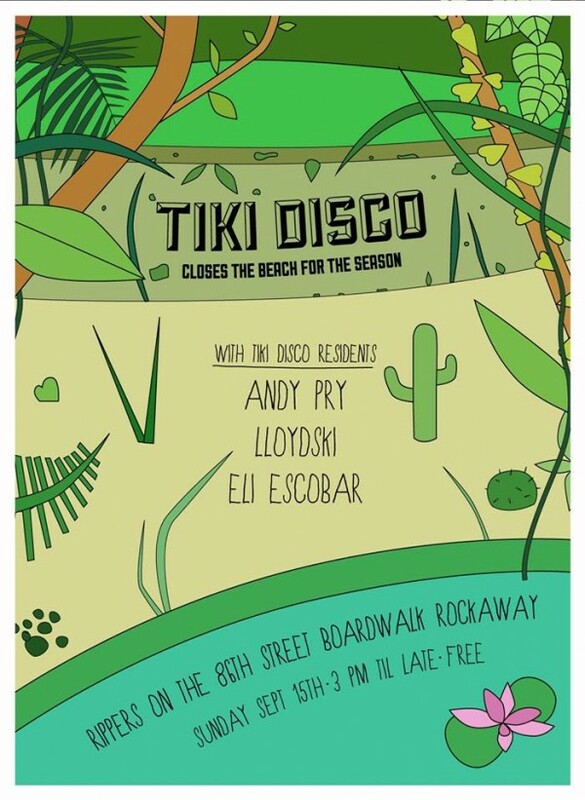 Tiki Disco has their closing party at Rippers starting at 3 p.m. today with @AndyPry + @EliEsco + @Lloydski.